Any beekeeper who sells honey will experience crystallized honey. Honey that has crystallized in containers is especially troublesome. And, it is not just beekeepers who have multiple jars of honey to decrystallize. Any one who practices bulk food storage may face the problem. One answer is to decrystallize honey with a warming cabinet and you can build your own. What is a Warming Cabinet? Warming cabinets are designed to slowly warm honey to a proper temperature. We want to raise the temperature enough to melt crystals that have formed inside the jars. However, we do not want to “over heat” the honey and damage its nutritional value. 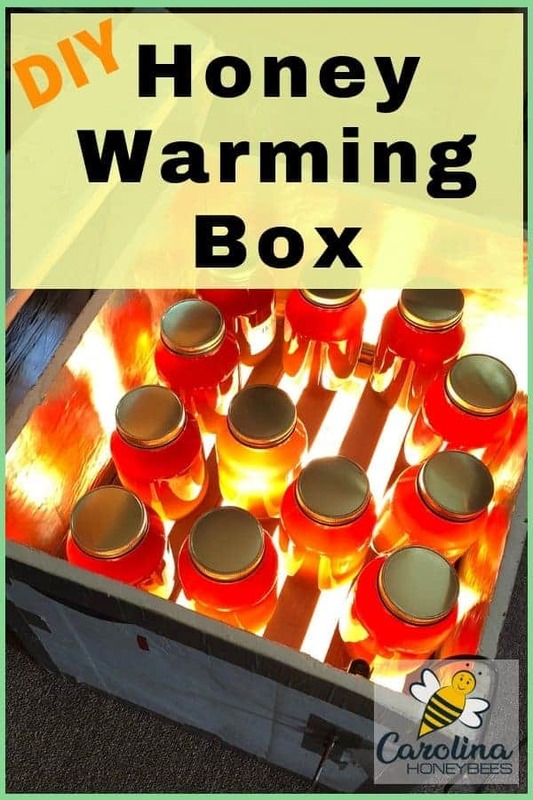 Any type of container may be used to construct a warming cabinet for honey. The size of the container needed will depend on how many jars of honey you wish to liquefy at one time. The internet is filled with plans and designs. But I wanted something that would be simple and easy to construct. How fast honey crystallizes depends on the temperature at which it is stored and the nectar source. You can read more about how honey crystallizes in my blog post – that explains the crystallization process – here. 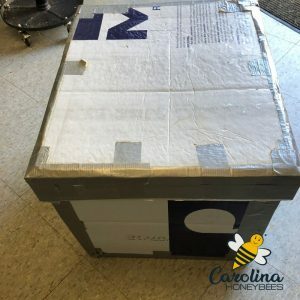 When building your honey warming box/cabinet, you want a box big enough to hold about 10 or 12 jars of honey at a time. I didn’t want to have to build a big whole wooden structure – though you certainly could! I wanted it to be light-weight and easy to put away when not needed. My goal was to be able to gently warm several jars of honey slowly to an appropriate temperature and hold it there for a period of time. In this way, I could melt the crystals forming in the honey without damaging the honey. For my base, to give the box sturdiness, I chose to use an extra shallow hive body. A shallow is about 5 3/4″ tall. This space would allow the installation of some type of heat source with a minimal fire risk. (or hopefully none). The frame rest inside the super gave me a place to rest a sturdy wooden shelf made from scrap lumber. So glad I used pine – it smells sooo good. I constructed a simple platform made of wooden strips. It was fairly easy to nail and glue the strips together. You could use something else if you wish. Perhaps, a section of plastic coated metal wire shelving cut to size? The options are endless. I used what I had which was wood. Wanting to use what I had on hand, I chose to mount a metal switch box to the wooden super. This would give me a firm surface to hold my heat source in place. Thereby, lessening the chances of causing a fire hazard. 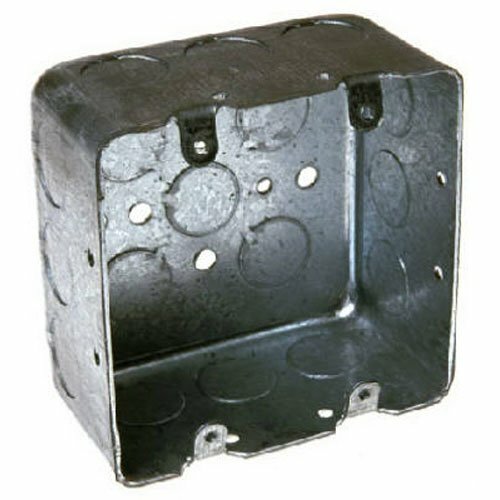 These boxes can be easily found at any hardware store. I also needed a light fixture and I already had a porcelain one like this on-hand. It mounts to the metal wall box and will enclose the wiring. It will also serve a a place to mount my lights. I will have to change this in the future but for now it works just fine. 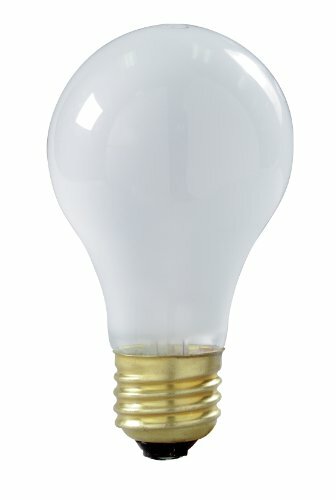 I used an adapter that allowed me to use 2 bulbs at one time. This is not necessary but I had one and chose to try it. Yes, I use incandescent light bulbs in this honey warming cabinet. Why? Because they generate heat and that is what I want. If you choose to not use them, or they become unavailable, there are other heat options. And some of those include thermostats. I am not saying this is the only way or even the best way to decrystallize honey with a warming cabinet. But it is what I constructed from materials on hand. You can adapt it to fit your needs and your materials. Now I needed a way to control my heat source. I do not want the honey inside to become over heated. I love chickens and I used to raise a lot of chickens. Going through some things in the barn, I found one of these wafer thermostats! Excellent. It is something that I already have that can be re-purposed. While not fancy, it will do the job and is easy to adjust. There is no programming involved, you just turn the screw to adjust. As the temperature rises, the wafer expands and cuts off the electric current to the lights. I wanted my thermostat to be on the opposite side of the heat source and just a bit higher up so I would have to mount it on the foam insulation used to create a box big enough for my jars. 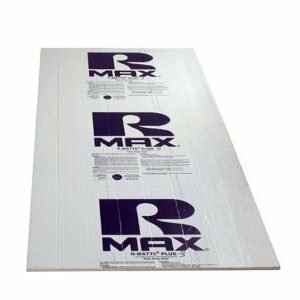 For the basic construction I used scrap pieces of RMAX insulation board (available at Home Depot or Lowes). I like it because it provides some heat retention and is easily cut with a box cutter or knife. You can make the box any size. However, the larger the inside dimensions, the longer it will take to warm your honey. I chose to make the box to a size that was just a few inches taller than a quart jar of honey sitting on my wooden rack. So, armed with RMAX Board and duct tape, I went to work wrapping the shallow super and other components inside a foam box. Let’s discuss the electrical requirements for just a moment. I am not an electrician and I can not offer intelligent advice on connecting wiring. However, I do believe that anyone with a modest amount of electrical knowledge could complete this project. If you are unsure about electrical safety, ask for help for a knowledgeable source or google “how to wire a wafer thermostat” for diagrams. In its most basic design, you will have a wire and plug (like a lamp cord) that deliveries electricity to your lamp fixture (bulbs). 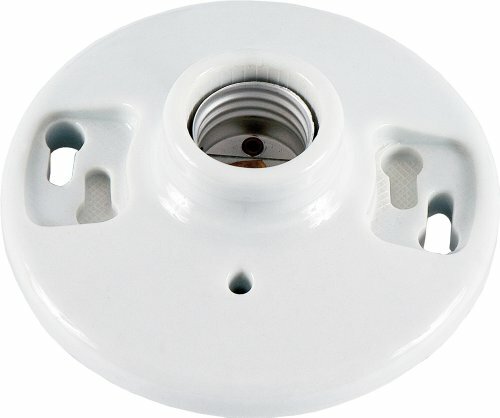 The thermostat wiring is installed between the plug and the fixture. 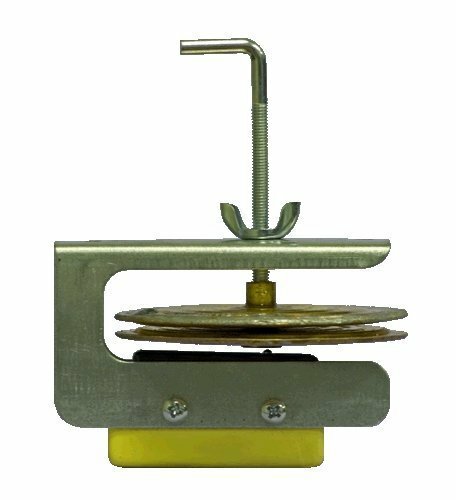 In this way it can “interrupt” the electric supply when temperatures reach a certain point. I used a remote temperature sensor to gauge the temperature inside the box without removing the lid. This allowed me to adjust my wafer thermostat to around 110°F. The last thing I want to do when decrystallizing honey in my warming cabinet is to damage the honey. In fact, I set rarely set jars directly over the bulbs-even glass ones. I have found my warming box for honey to be an easy way to decrystallize multiple jars of honey. If you choose to give it a try, it’s important to consider a few key points.